Most of us have cup holders in our vehicles (although I once had a car that was so bottom of the line that it did not). Anyways, if you own a vehicle you most likely do have them and they are very handy for holding your coffee during the morning commute or keeping soft drinks from tipping over when you have picked up dinner at your favorite drive thru. These instances work out because those kinds of drinks normally come in cylindrical cups. 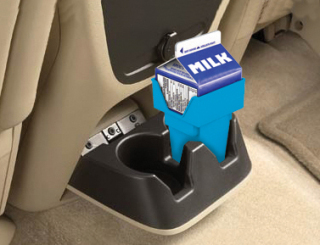 Unfortunately, conventional cup holders do not always accommodate beverage containers that have a square or rectangular bottom. 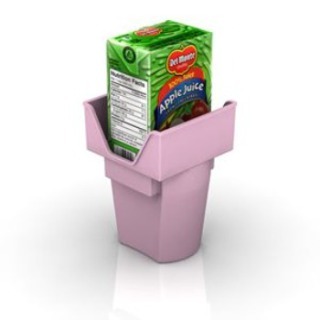 Cartons of milk and drink boxes usually do not fit well in cup holders. Parents are well aware of this problem, as these are the types of drinks that they often pick up for their kids. You are left trying to hold onto the drink yourself until you get home or risk letting your child have control of it for the entire ride. Neither is a great option, in my experience. 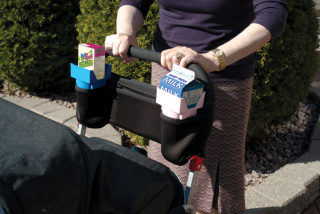 Also, if you are pushing your child in a stroller you will find that stroller cup holders pose the same issues. Fortunately, the MilkMate can quickly and easily provide a solution. This nifty little gadget fits into regular cup holders, but has a square top to hold straight edged beverage containers. Finally, I can drive home without having to delicately hold a drink box between my knees! You can get MilkMate here at Amazon. 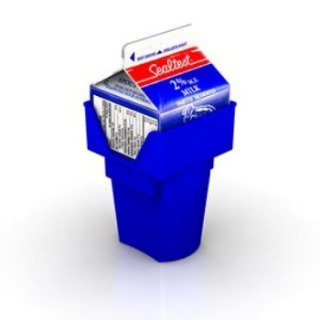 Milkmate can be purchased direct! You can now get Milkmate delivered right to your door from our website.